Alaska lawmakers just amended SB 91. What did they change? And what happens now? Alaska lawmakers have approved a bill to roll back pieces of last year's criminal justice overhaul, Senate Bill 91, after a surprise vote Friday by the Senate. The Senate's vote on the rollbacks, Senate Bill 54, took place nearly three weeks into a special session called by Gov. Bill Walker, after the House voted 32-8 early Tuesday to pass the same batch of revisions. SB 54 now heads to Walker's desk, and he plans to sign it, a spokesman said Saturday. The legislation toughens a wide range of criminal sentences and reverses major components of SB 91, which was originally designed to reduce the state's reliance on expensive prison beds and passed last year in a bipartisan effort. SB 54's passage comes amid a public backlash against SB 91, tied to perceptions of rising crime, largely in Anchorage. And Friday's vote by the Senate came despite of constitutional concerns about SB 54's provisions that were highlighted by a string of attorneys. Just what, exactly, does the bill do? How did we get here? And what happens now? Here's a rundown. What's this whole debate about? Last year, the Legislature passed SB 91, a 123-page overhaul of the state's criminal justice system. Broadly, it aimed to reduce Alaska's reliance on prisons — where housing inmates costs more than $150 per person per day — and use cheaper alternatives such as enhanced supervision for people out on bail, and parole and probation. SB 91's bipartisan supporters cited research that shows those alternatives to prison can be more effective at stopping criminals from committing more crimes in the future, and they said the bill would save hundreds of millions of dollars in prison costs over the next decade. It took less than a year, however, before lawmakers — facing criticism from constituents, victims advocates and law enforcement — decided that some parts of the overhaul go too far and need to be reversed. The backlash was especially intense in Anchorage, where SB 91's critics blamed the bill for a rise in crime. Its defenders argue that many categories of crime have been rising for years, and experts say it's too soon assess the legislation's effects. So, how did lawmakers propose to adjust SB 91? Early this year, North Pole Republican Sen. John Coghill — SB 91's original sponsor — introduced two new bills, SB 54 and Senate Bill 55. SB 55 fixed technical errors in SB 91 and passed both the House and Senate easily. SB 54 contained substantive changes recommended by the Alaska Criminal Justice Commission, the state entity that drafted the original overhaul and which has representatives from all levels of the criminal justice system. The first version of SB 54, from the Senate, was 16 pages and largely hewed to the commission's recommendations, though in some cases it was tougher. Its provisions included recriminalizing when defendants violate their bail conditions. It reinstated short prison terms for second and third convictions of petty theft. And it toughened penalties for first-time convictions for Class C felonies — the lowest level, which include crimes like car theft, threatening someone with a gun, selling small amounts of heroin or owning or managing a place of prostitution. SB 91 had reduced those penalties to supervised probation, down from a prison sentence of up to two years. The commission recommended that SB 54 reinstate up to three months of jail time for first-time Class C felonies. But the Senate's version of SB 54 went far beyond that, allowing judges to impose up to a full year in prison. The Senate passed SB 54 in a 19-1 vote in April. But the House failed to vote on the bill before the end of the regular legislative session. By the time Gov. Bill Walker convened the special session in October, SB 91's critics in the House were feeling pressure from constituents angry about crime, particularly in Anchorage. And they spent two weeks expanding the legislation. What did the House do during the special session? In a string of hearings in the judiciary and finance committees, then over three long days of floor debate, the House approved a slew of amendments to SB 54, which grew to 46 pages from the Senate's 16-page version. The bill passed the House in a 32-8 vote early this week. Most of the House's amendments that toughened criminal laws passed with votes largely from the House Republican minority, which got support from a handful of members of the largely-Democratic majority — particularly those from Anchorage. The House additions to the bill went far beyond the ideas recommended by the commission, and introduced entirely new concepts. The additions included reinstating the possibility of prison time for first-time petty theft, and boosting prison sentences for repeat petty theft beyond the Senate's proposal. They lowered — to $750 from $1,000 — the value of stuff that needs to be stolen to qualify as felony theft. They added a new requirement of 25 hours of community service for people convicted of criminal mischief. They eliminated a proposed two-month cap for second-time convictions of many kinds of Class A misdemeanors, allowing those sentences to run for up to a year. They added extra prison time for certain felony convictions if the crime targeted police or first responders. And, perhaps most critically, they boosted prison terms for first-time Class C felonies beyond the Senate's legislation. The Senate had proposed a maximum of a year in prison for those felonies, up from the probation-only penalty set out in SB 91. The House doubled that, allowing up to two years in prison. 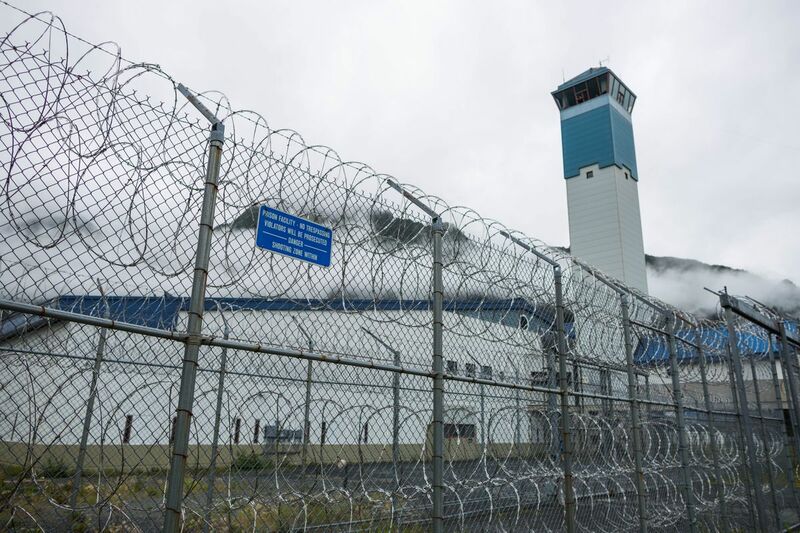 That piece of the legislation could have substantial impacts, since Class C felony convicts made up almost 40 percent of Alaska's prison population before SB 91 went into effect. SB 91 was, in part, about reducing the state's prison spending. So how much will these changes cost us? Lawmakers typically generate cost estimates that are formally attached to their legislation. And an early projection from the House Finance Committee said SB 54 could cost the state more than $3 million a year. But those formal projections only come during the committee process. And a dozen of the House's amendments passed later, during floor debate, which meant that lawmakers approved them without knowing how much they would cost. Those floor amendments include several that are likely to add to the state's prison costs, like the ones that boosted sentences for petty theft, Class A misdemeanors and Class C felonies, and another that makes it harder for convicts to be released from probation. What's the legal problem with Class C felonies that I've been hearing about? It's a little complicated. But the bottom line is that the House's move to toughen sentences for Class C felonies could be rejected by the courts as unconstitutional. The House's version of SB 54 increased penalties for first-time Class C felonies without increasing them for first-time Class B felonies — meaning that those sentences would be identical. The Legislature's own attorneys say that's a problem, and so do lawyers for Alaska Gov. Bill Walker's administration and the American Civil Liberties Union of Alaska. That's because, the ACLU wrote in a letter to senators, there are constitutional requirements that sentences be proportional to the crime, and "bear a substantial relationship to legislative policy." Quinlan Steiner, Alaska's chief public defender, told senators at a committee hearing Friday that the identical sentences would be "an issue in every single C felony case, until it's resolved." And he said a lawsuit over that provision of SB 54 is certain, if it's signed into law. Walker plans to sign SB 54 as passed, spokesman Jonathon Taylor wrote in an email Saturday. Asked how or whether Walker would try to fix the constitutional problems identified by his own administration, Taylor said: "It's too early to know if action can be taken, much less what it might be, to mitigate the known issues with the bill." Senate Majority Leader Peter Micciche, R-Soldotna, said he expects his chamber to ask Walker's administration to introduce a bill to fix the legal problem with SB 54. But since the Senate adjourned from the special session, it's likely lawmakers won't be able to start work on such legislation until mid-January at the earliest, when they return to Juneau for the regular session. Walker can wait up to 20 days, not including Sundays, to sign the bill after the Senate sends him the final version, which it hasn't done yet. Since the sentencing portions of the bill are effective immediately, they appear likely to become law before the Legislature can fix the legal problem when it reconvenes in January. Once Walker signs the bill, the state appears to face a near-certain lawsuit from the American Civil Liberties Union of Alaska, which responded to Friday's Senate vote on SB 54 with a prepared statement. It ended with the words: "We'll see them in court."